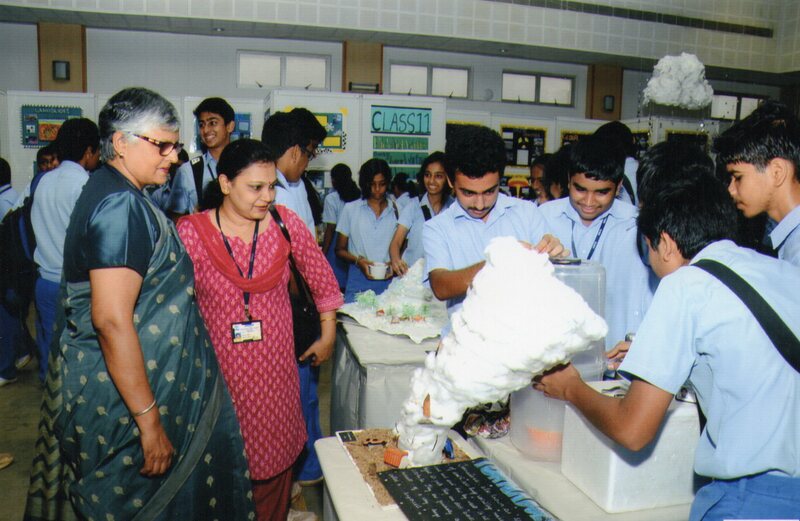 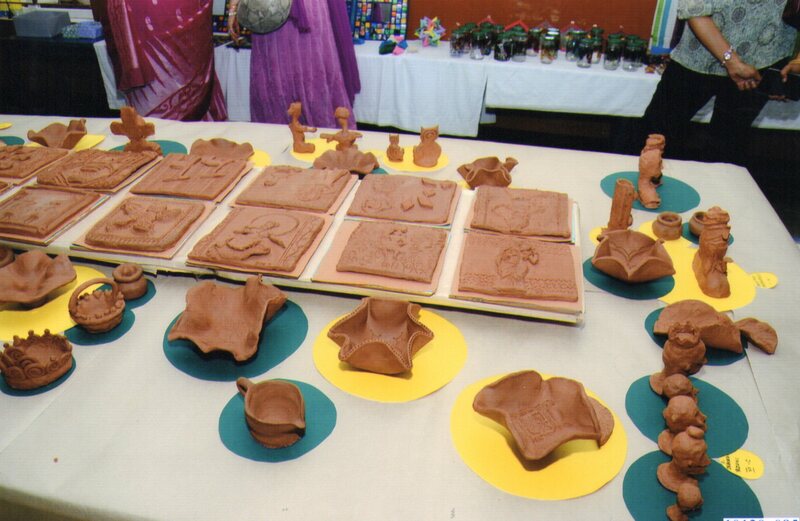 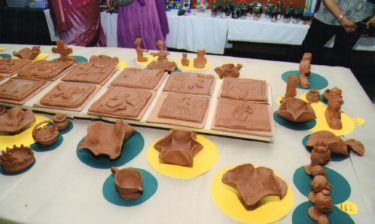 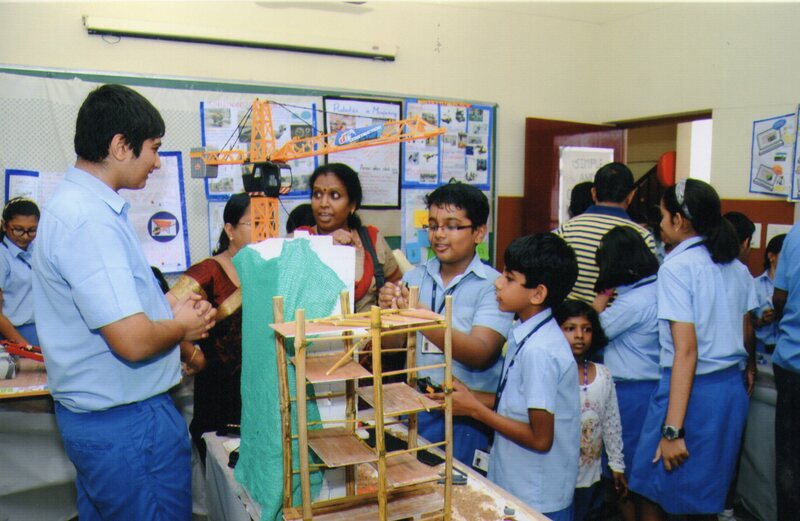 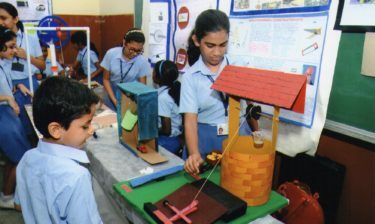 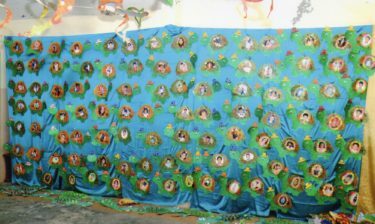 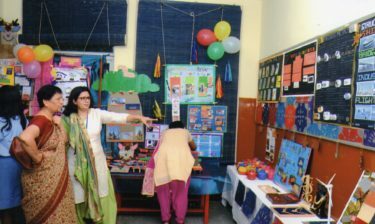 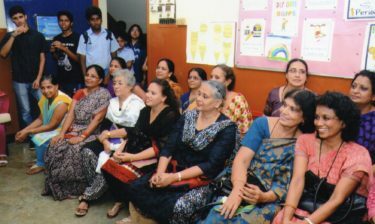 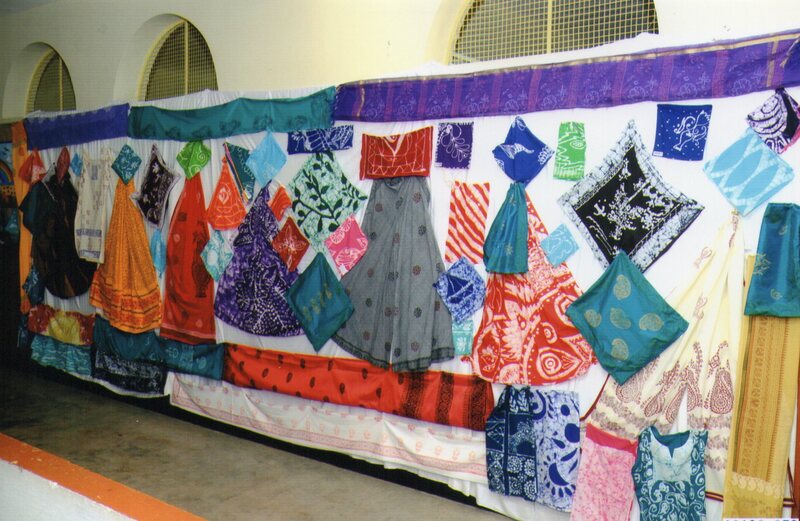 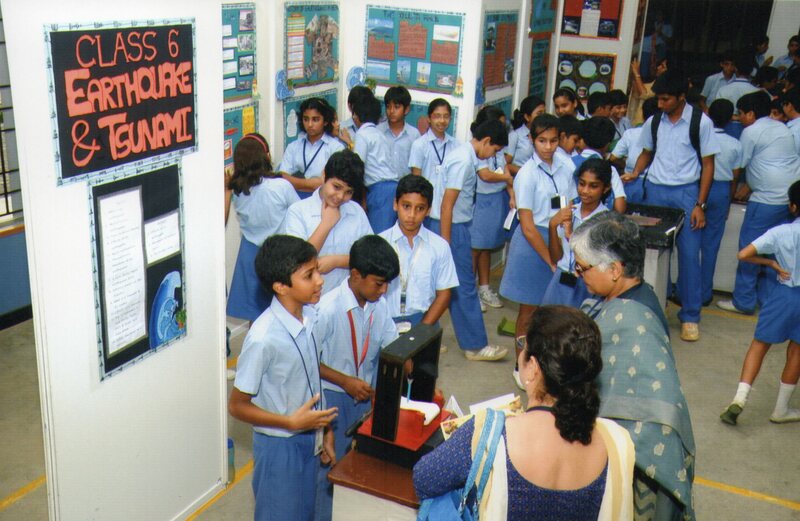 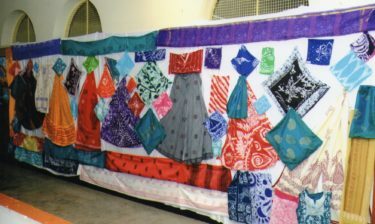 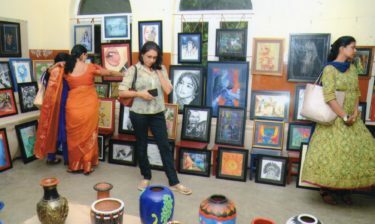 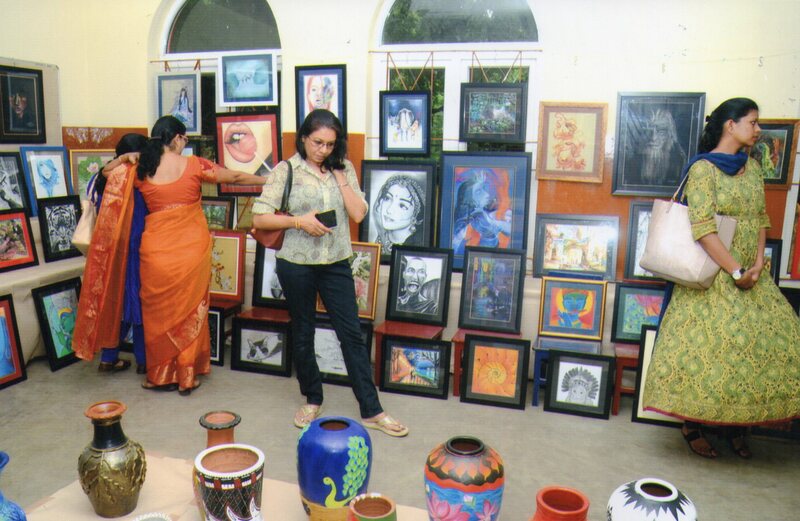 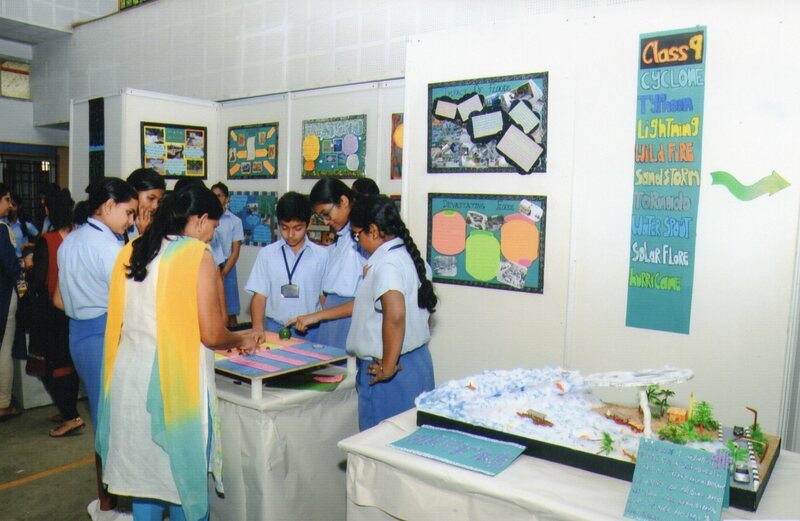 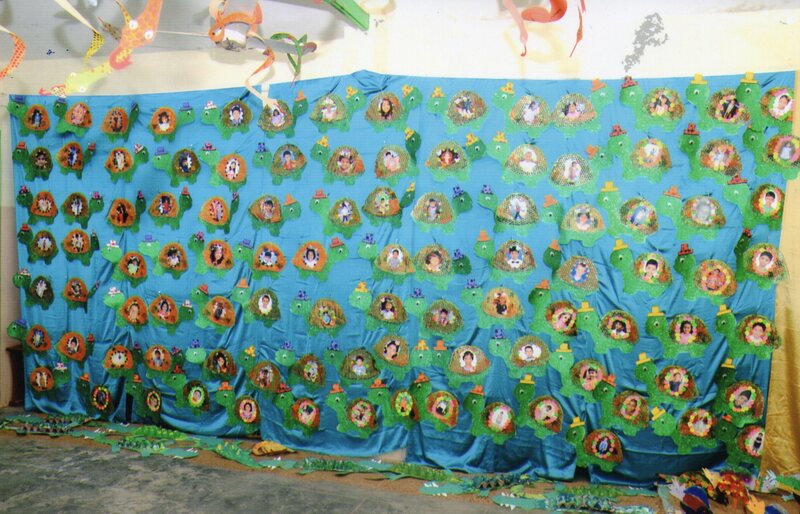 The theme for the senior school exhibition 2015 – aptly termed ‘Cataclysm – Natural and man-made’ seemed almost like a premonition to the monsoon fury which had lately paralyzed normal life in Chennai. 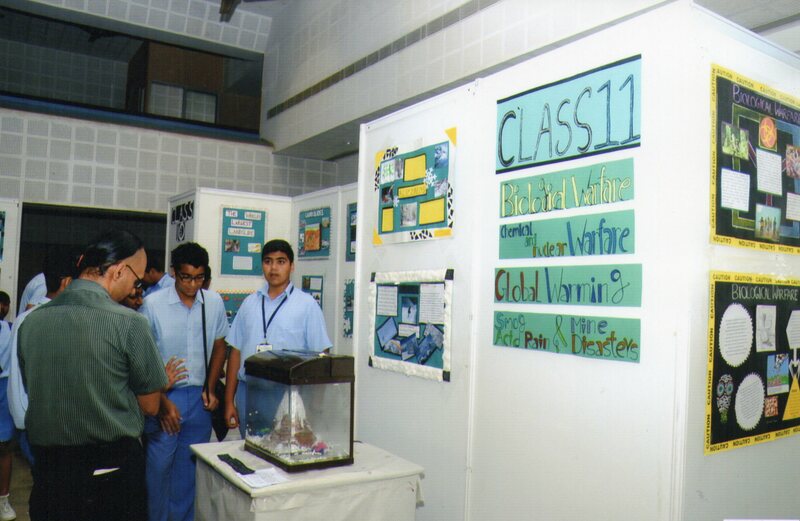 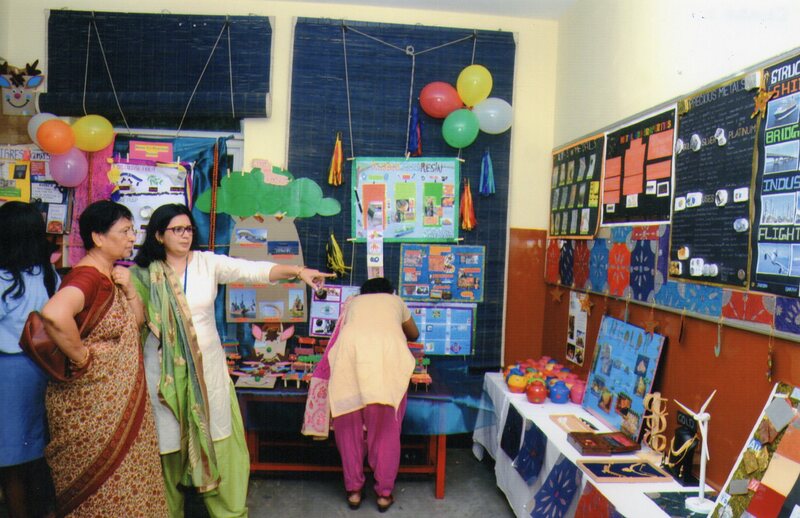 The organized layout with the attractive signboards stated the class as well as the topics that were covered. 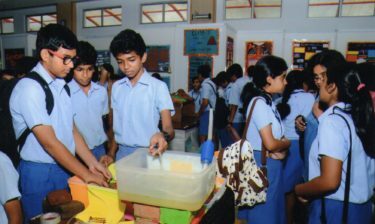 Class 6, dealing with ‘Earthquakes and Tsunami’ listed out general information on well prepared charts and shared practical tips on what should be done when a catastrophe occurs. 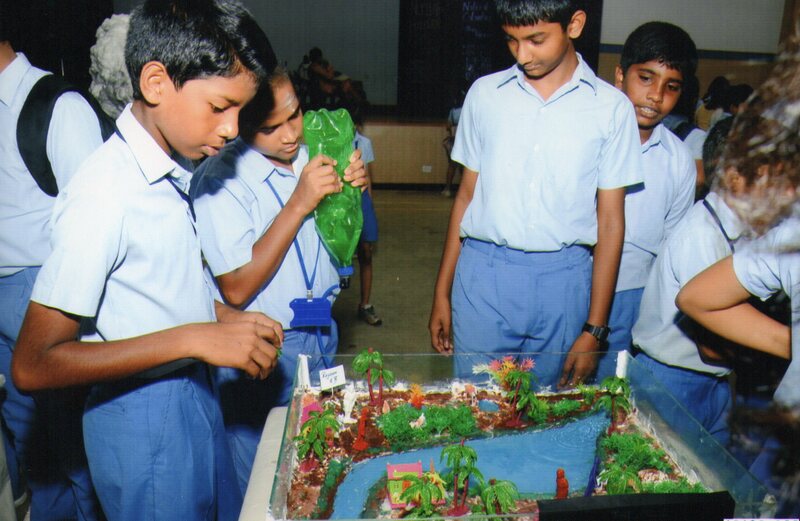 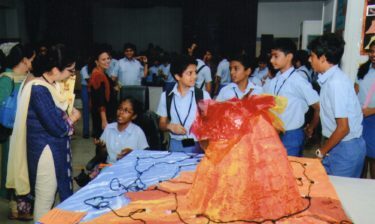 Class 7 – Their topic was ‘Volcanoes and Limnic eruptions’ and a colourful model of an active volcano caught everyone’s eye. 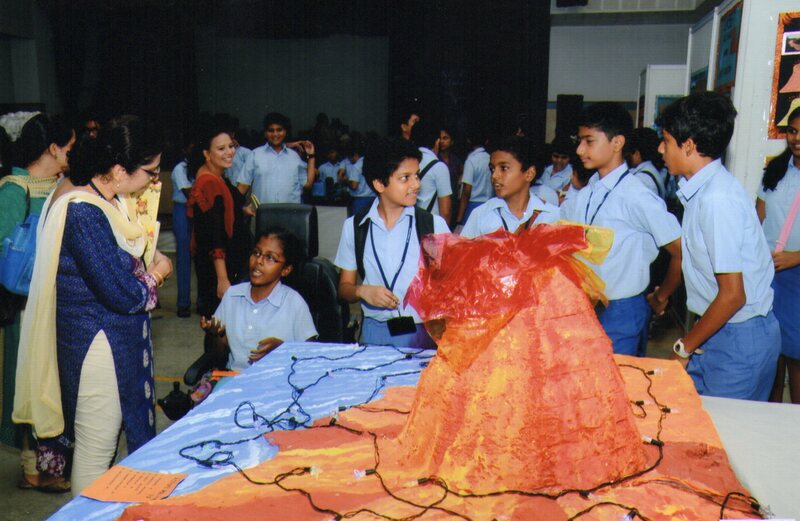 There was also a live demonstration of volcanic and limnic eruptions. 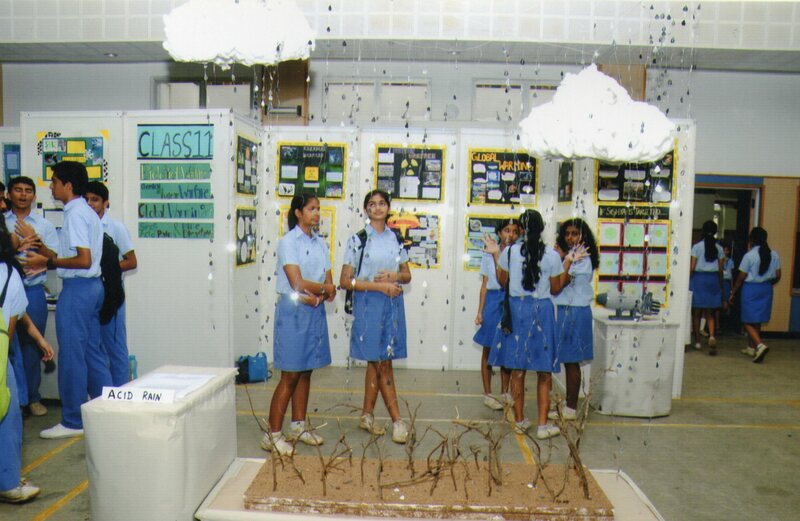 Class 8 displayed ‘Flood, Flash Flood, Heat Wave, Drought and Hailstorms’. 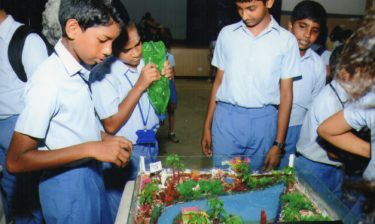 Besides providing in-depth information they also had working models on drought mitigation strategies such as rain water harvesting and drip irrigation. 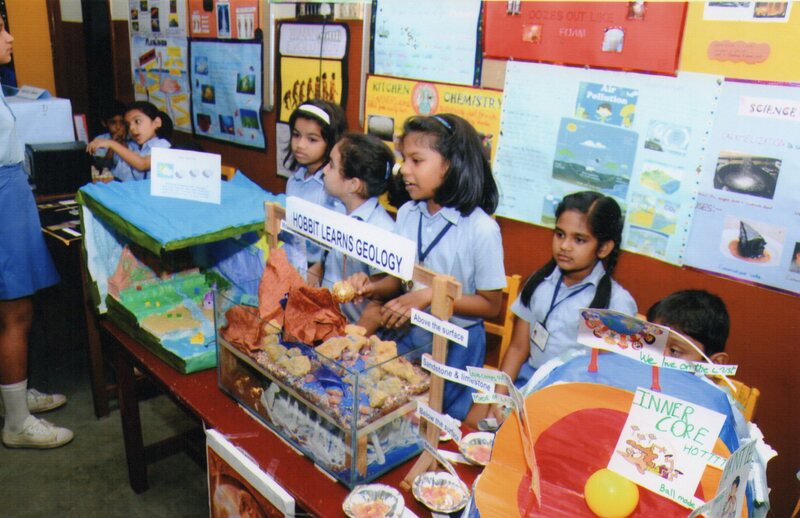 Class 9 presented thoroughly researched information on ‘Cyclones, Typhoons, Lightning, Wild Fire, Sandstorm, Tornado, Water Spout, Solar Flare and Hurricane. 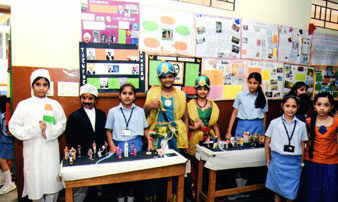 They rendered full justice to the wide spectrum of themes assigned to them. 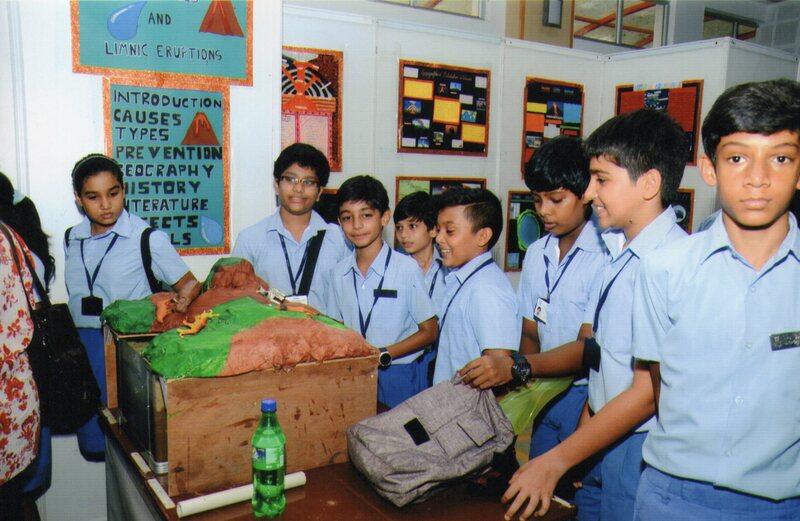 Class 10 focussed on ‘Landslides, Avalanches and Blizzards’. 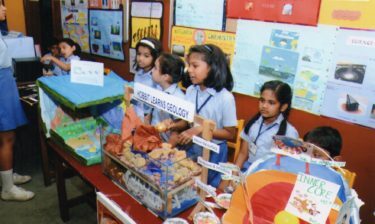 They had working models on blizzards and charts on snowflakes and the worst avalanches in human history besides providing a detailed description on landslides. 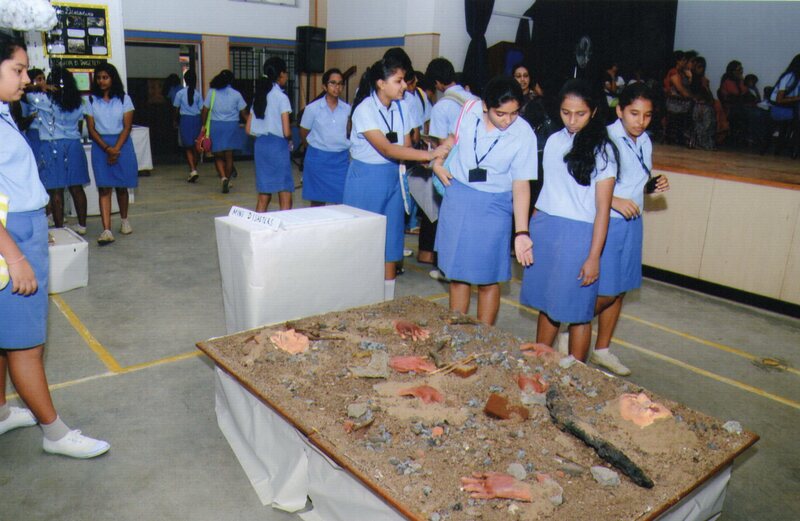 Class 11 drew instant attention to their exhibits under ‘Biological, Chemical and Nuclear Warfare, Global warming, Smog, Acid rain and mine disasters’, with the adroit use of the yellow caution barricade tape. 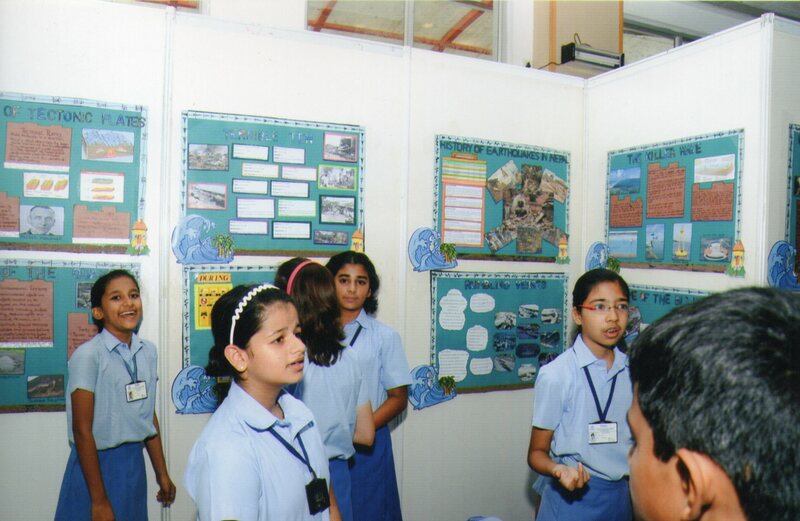 Their models of mine disasters, acid rain, mushroom clouds and nuclear weapons were the cynosure of all eyes. 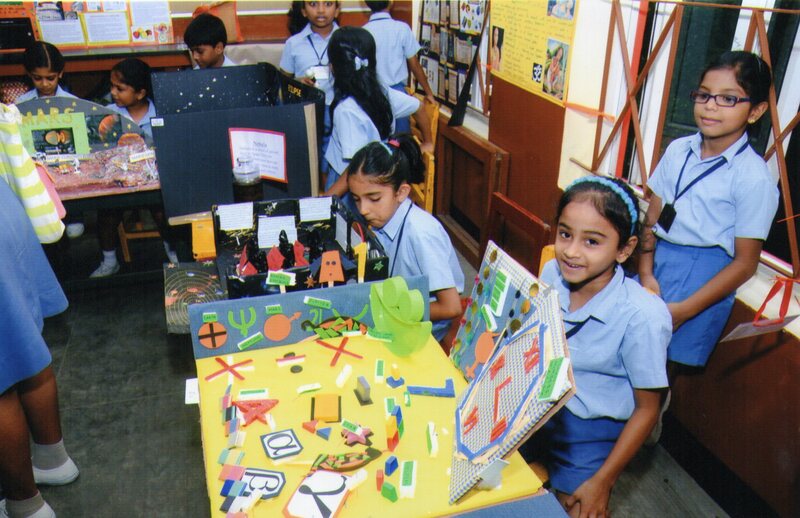 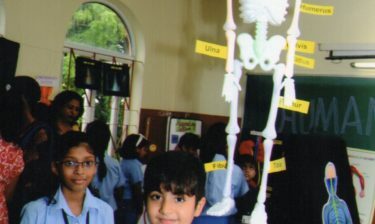 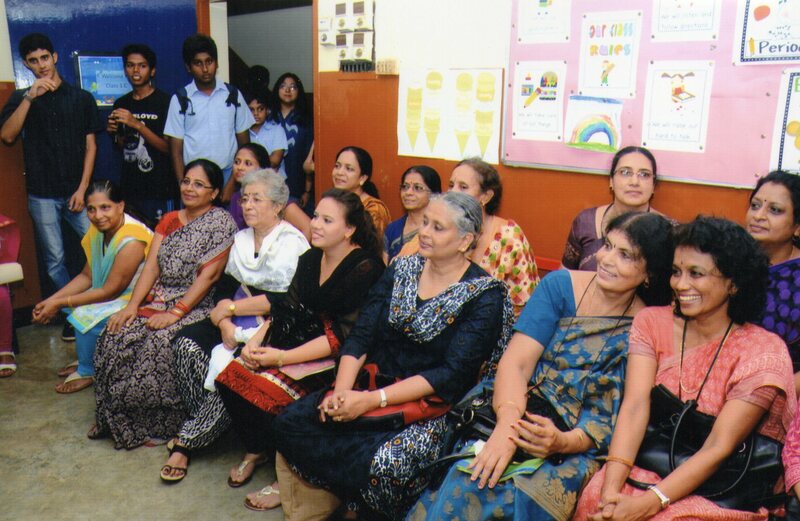 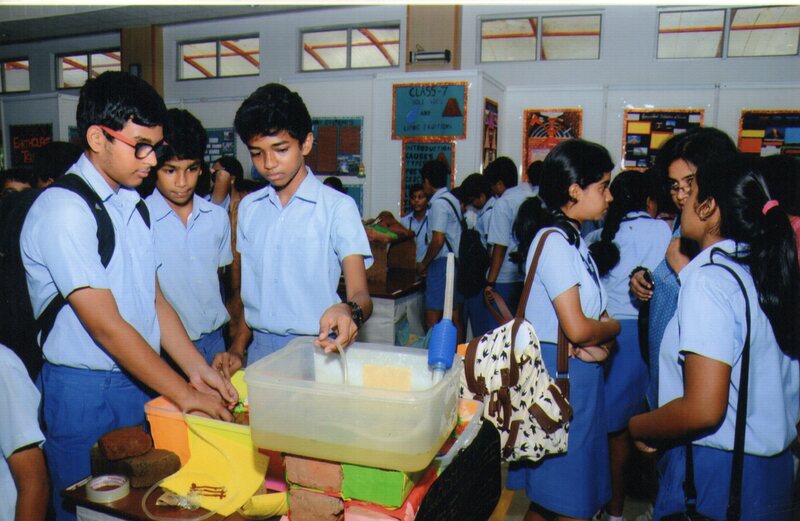 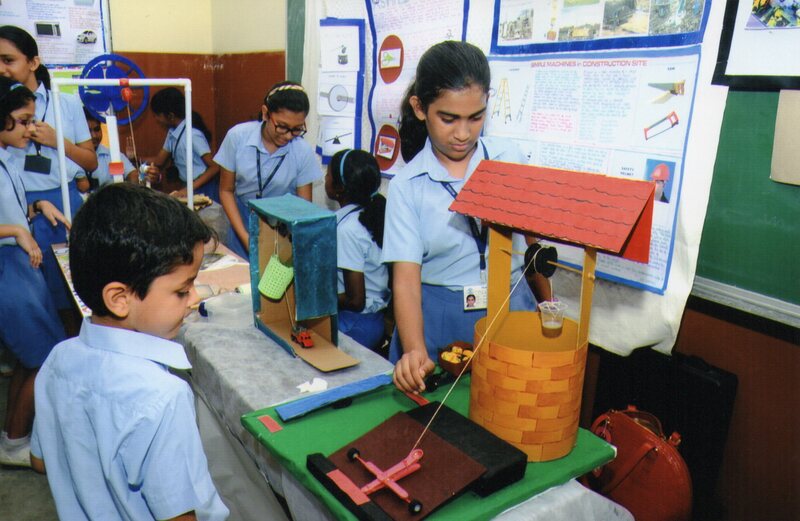 The Junior School was exploring science this time and the excitement was evident in every student from LKG to Class 5. 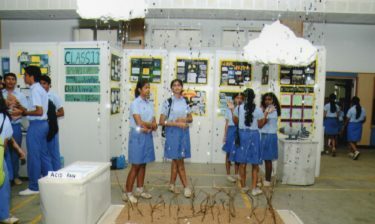 It was a rainy morning but that did not stop the eager parents and grandparents from coming to see the exhibits. 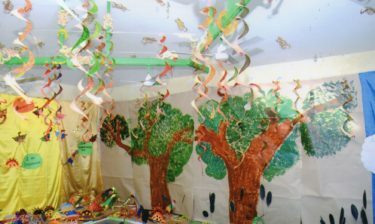 LKG took us on a journey through the world of Birds. 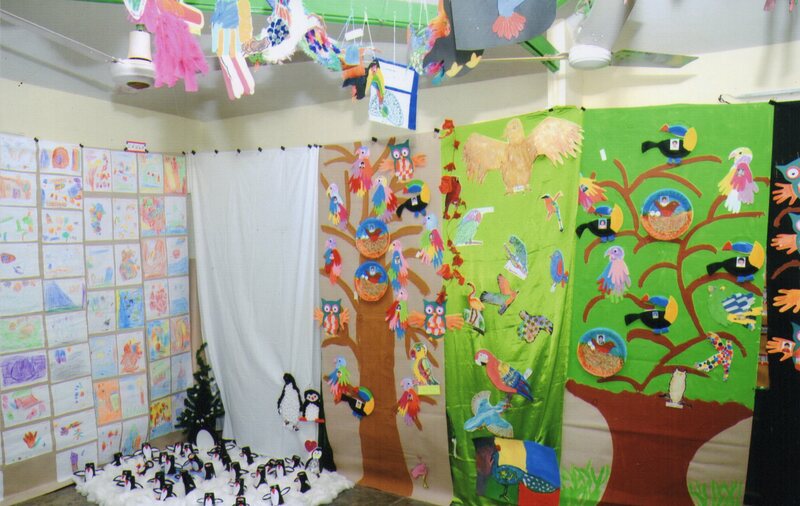 Their classroom has transformed into an aviary with birds of all types. 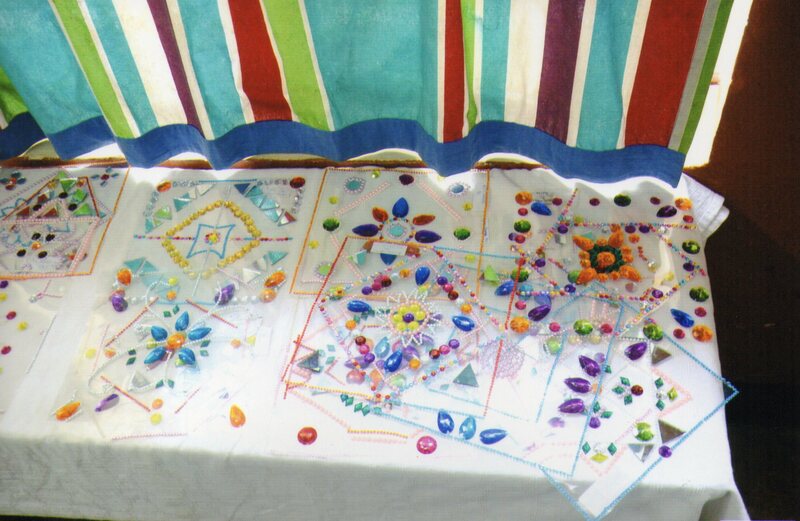 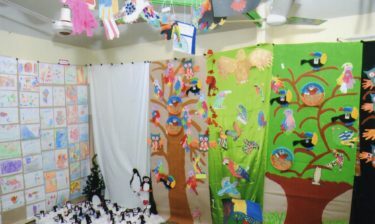 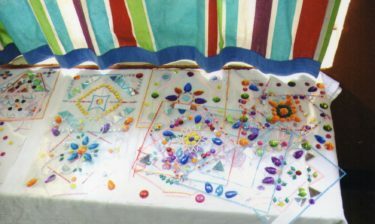 There were toucans, ducks, parrots and many more birds made using paper plates and cups which added colour to the whole room. 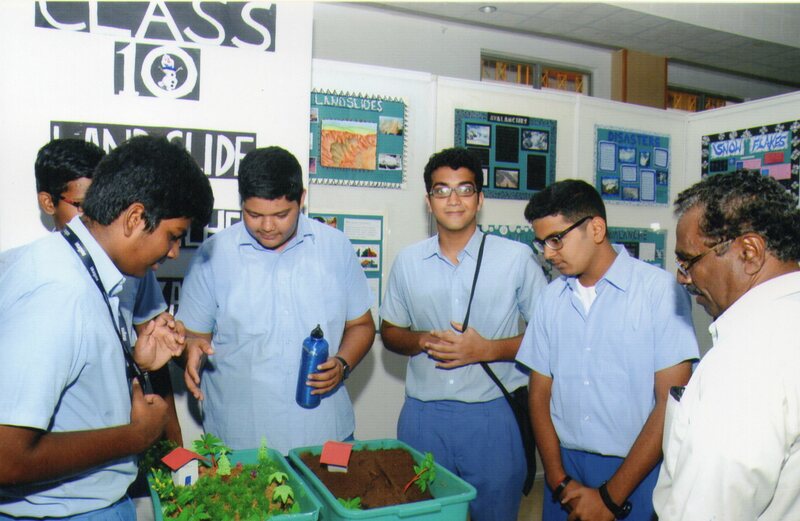 The sign outside UKG said “Herpetarium”. 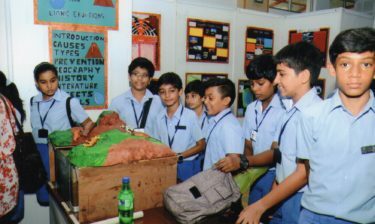 The class was covered with reptiles of different shapes and sizes. 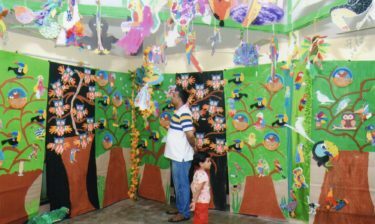 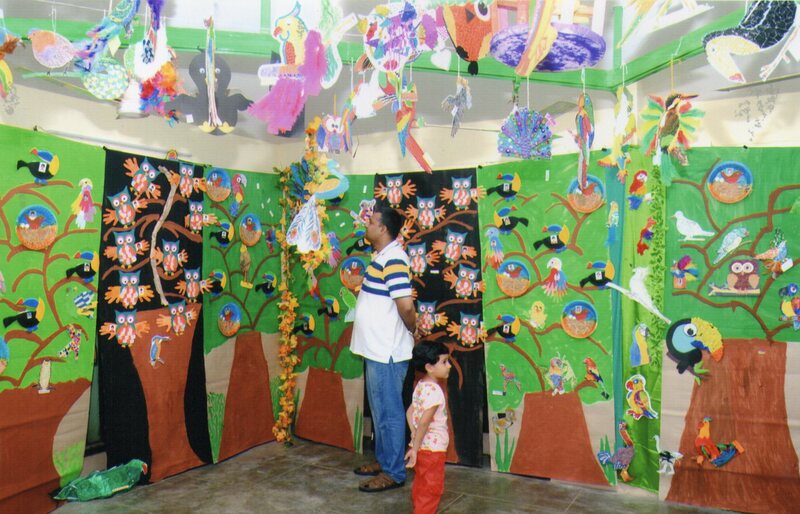 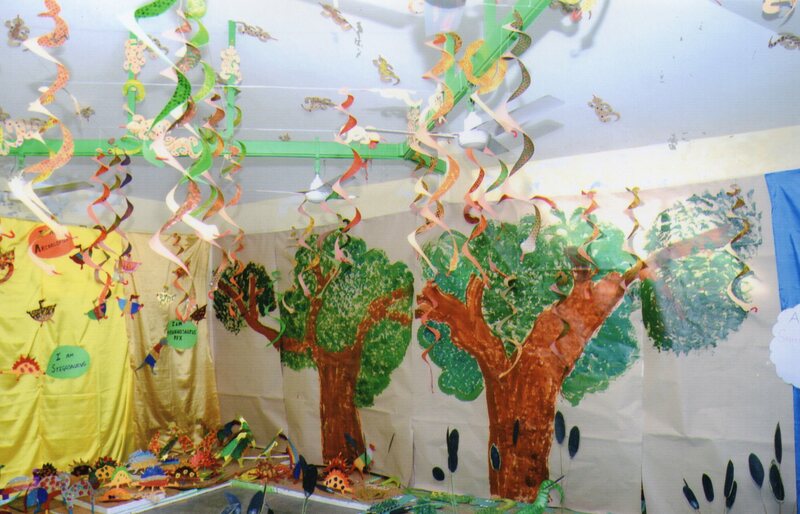 There were green crocodiles made with egg cartons and also paper lizards on the ceiling which looked so real. 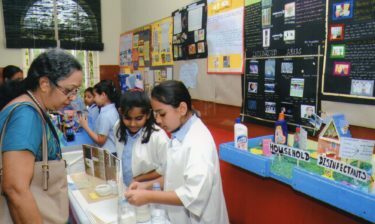 Class 1 dealt with Material Science. 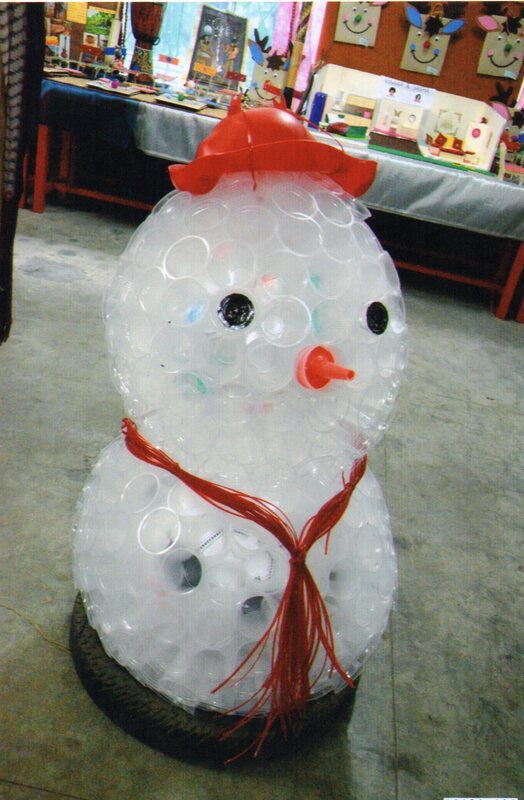 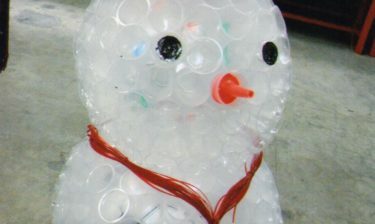 There was a snowman made of plastic cups and a real scarecrow made of plant based materials to welcome all who came in. 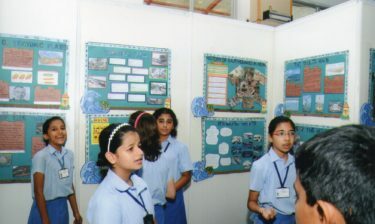 The materials they had worked on were glass, plastic, metal, wood, rubber, fibre, gum and resin. 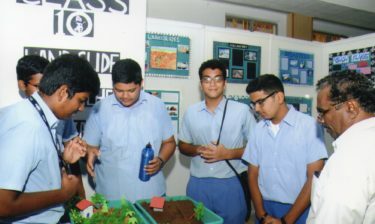 Their eco-friendly paper bags and minion pen stands from recycled bottles sent a message to all, to be more sensitive to the planet. 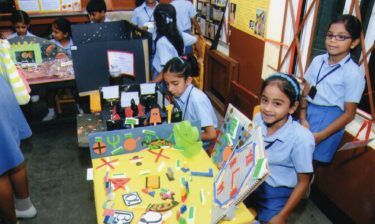 Class 2 threw light on Science as Geo-Science, Life science and Physical science. 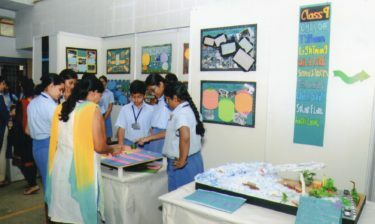 Some concepts of Mathematics and Astronomy were also explained. 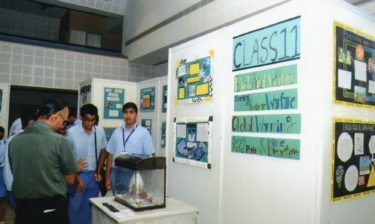 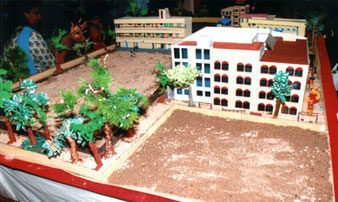 They had made very interesting working models on a wide range of topics such as; Newton’s laws, eclipses and volcanoes. 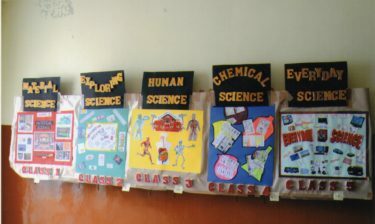 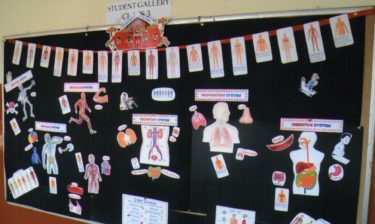 Human Science was the topic chosen by Class 3. 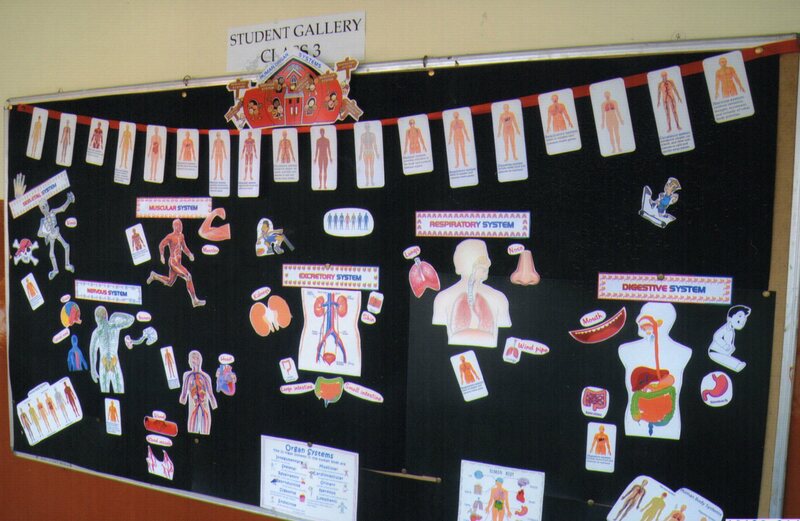 They had worked on the structure and working of various systems of the body, such as the respiratory system, digestive system, muscular system, skeletal system and circulatory system. 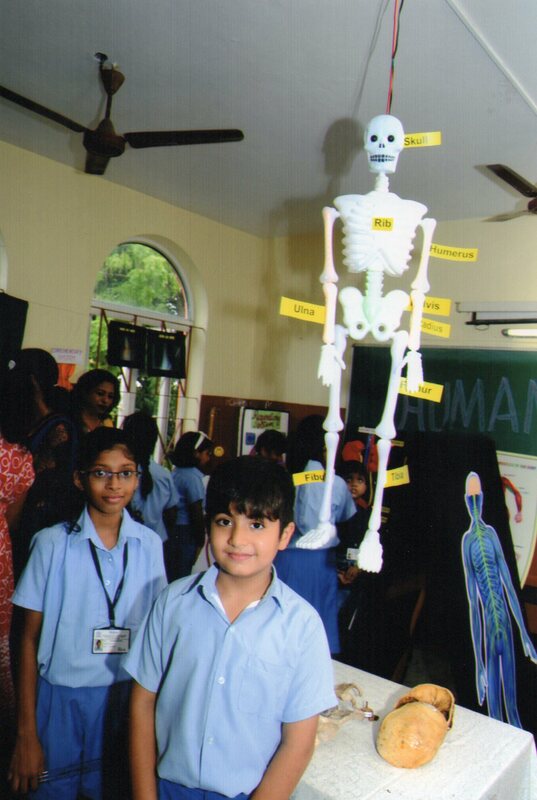 Also on display was the skeletal system of man. 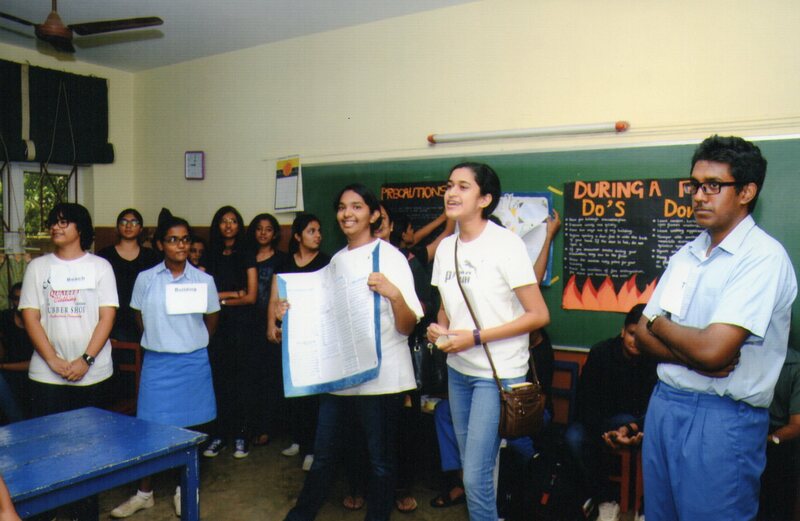 The students of Class 4 were as bubbly as the chemicals they explained under their topic – Chemical Science. 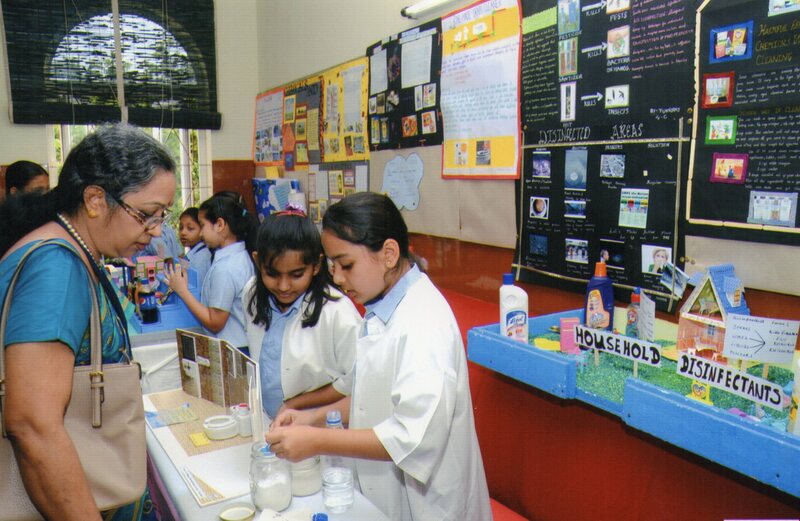 They had gathered information on the chemicals present in the products we use every day like, toothpaste, soaps, shampoos, shaving creams and certain food items and the dangers these chemicals caused to the human body and the environment. 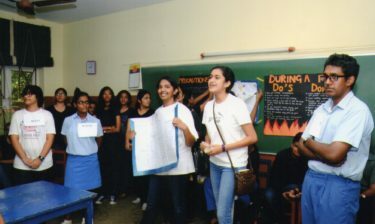 They gave us alternate solutions for safe and effective cleaning using simple substances like baking soda and vinegar. Everyday Science was what Class 5 had decided to tell us about. 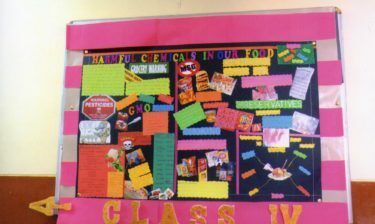 A quick tour of the classroom reminded us about how science has affected everyday living over the years. There were models of various gadgets including computers, televisions, cranes in construction sites, windmills and even an MRI scan machine. 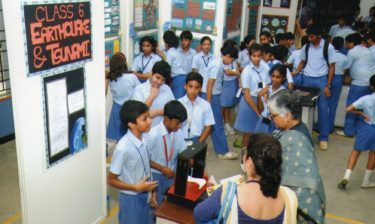 The topics chosen this year were interesting and each class had made it even more interesting with their innovative exhibits.